Want to set up an offshore software development unit in Romania or Vietnam? Yourshore recruits whole production teams for IT Consulting firms and Web agencies. Establish your offshore development unit in 3 easy steps: Build, Operate, Transfer. Build your offshore software development unit: scrum master, developers, testers, architects. Operate 100% of your client IT projects: software engineering, web development, testing, embedded systems, mobile solutions, cloud services, ITSM. Transfer: purchase your team and become the owner of a turnkey unit under ideal conditions in Romania or Vietnam. Yourshore works exclusively with IT Consulting companies and guarantees absolute non-competition with your end clients. 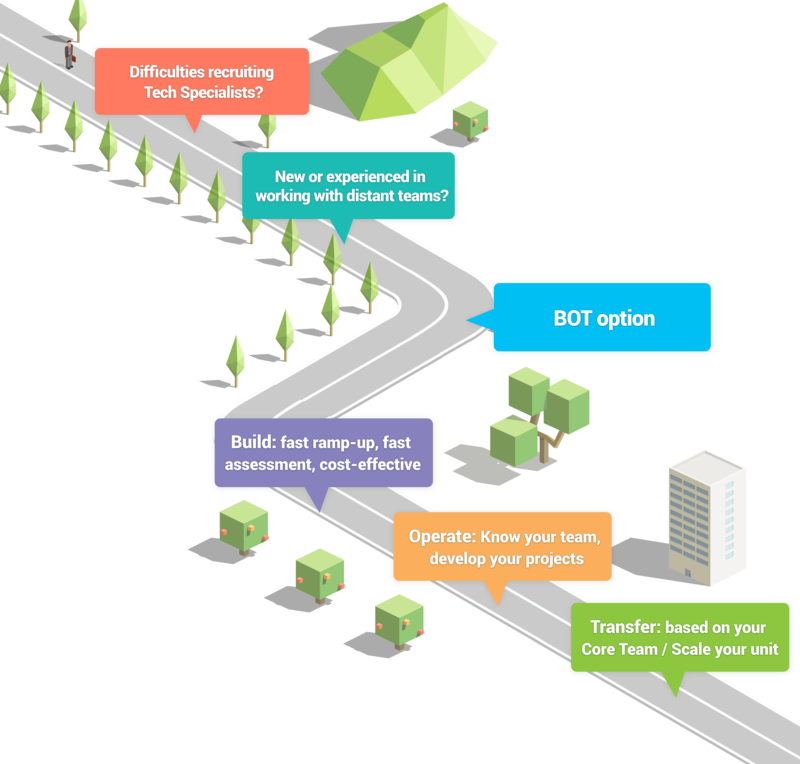 The only purpose of Yourshore is to become your sub-contractor in a BOT (Build-Operate-Transfer) model.